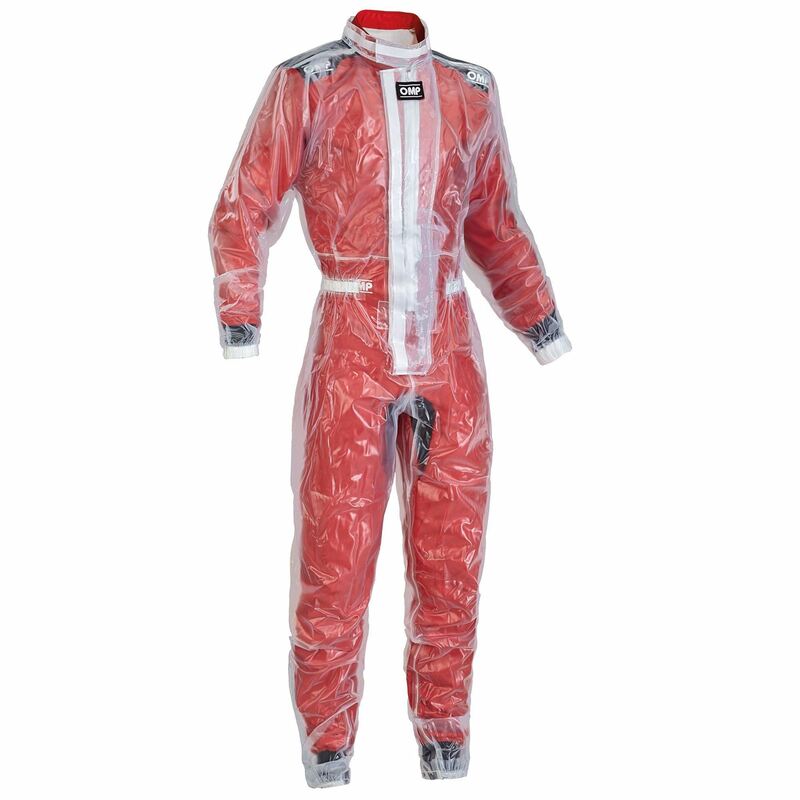 OMP have improved their popular karting rain suit and increased the size range. The Rain K transparent suit is designed to be worn over your kart suit in wet weather conditions. It features a full length zip closure and easy opening ankle bellows to allow easier fitment when wearing boots. The seams are sewn and heat welded for improved water proofing.